A-PVA Action: New PVA activation technology which increases bonding density for longer lasting, creep resistant bonds. 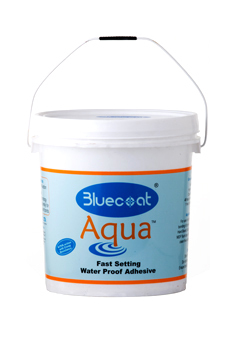 Bluecoat Aqua is widely used for all Types of Wood, Cold Press/Hot Press and Post forming applications. For bonding Plywood/ MDF /Particle board etc with each other & also bonding with Laminate/Veneer etc. Store away from direct Heat & Sunlight. 1 Year from date of Mfg., under recommended storage conditions & in a sealed container.